Objective To determine the frequency of recurrent sexually transmitted infections (STIs) and/or pelvic inflammatory disease (PID), the average time until subsequent infection following a baseline PID diagnosis, and age- and insurance-related associations with subsequent diagnoses. Design This study used prospective longitudinal follow-up of STI and/or PID outcome data from electronic medical records. Setting An urban academic hospital system. Participants A total of 110 adolescent girls treated for PID as outpatients in pediatric ambulatory sites. Main Exposure Electronic medical records used to assess subsequent PID diagnoses and/or infections with Neisseria gonorrhoeae or Chlamydia trachomatis during the study window. Main Outcome Measures Demographic, health care use, and STI and/or PID outcome data were examined. Incidence of an STI and/or PID was calculated as incident cases per person-months of exposure. Cox proportional hazard modeling was performed to evaluate the incidence of STI by age or insurance status. Results The mean (SD) age was 16.8 (1.9) years, 89% of patients were black, and 39% had laboratory results that were positive for N gonorrhoeae or C trachomatis at baseline. Thirty-four percent of patients had an additional diagnosis of an STI during the 48-month follow-up window (incidence, 3.1 per 100 person-months) and the mean (SD) time to a subsequent STI and/or PID was 377 (297) days. Of those patients, 67% (n = 18) had chlamydia, 11% had gonorrhoeae, and 44% had PID. There were no differences based on age or insurance status. Conclusions Adolescents treated for PID are at risk for subsequent STI and/or PID for a 48-month period. Given the need to prevent future infections in these vulnerable youths, efforts to explore the value of ongoing strategies for risk reduction after diagnosis are warranted. Randomized controlled trials have demonstrated that outpatient treatment can be as efficacious as inpatient therapy for the treatment of mild to moderate pelvic inflammatory disease (PID).1,2 However, no translational work has demonstrated effectiveness in adolescent clinical or public health practice. Our previous work3 has demonstrated that adolescents have poor adherence to outpatient PID treatment recommendations, putting them at increased risk for acute and chronic sequelae. Furthermore, adolescents often receive PID care in acute care settings,3-7 limiting the time that can be devoted to nurturing, patient-centered, adolescent-specific care and risk-reduction counseling. To date, there have been no longitudinal studies exploring subsequent STIs and/or PID in adolescents treated for PID as outpatients in pediatric ambulatory settings. The aim of this study is to determine the frequency of subsequent STIs and/or PID, the average time to subsequent infection following a baseline PID diagnosis, and potential age- and insurance-related associations with subsequent diagnoses. 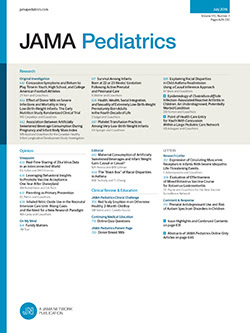 Prospective longitudinal follow-up was conducted for 48 months during which adolescents were treated for PID in an urban pediatric center located in a large STI-prevalent city in the United States.17-19 This institution has an established outpatient PID quality improvement intervention for outpatient management of PID designed to improve provider adherence to the Centers for Disease Control and Prevention Sexually Transmitted Infection Treatment Guidelines.20,21 The quality improvement intervention has been previously described3 and includes (1) a management algorithm and clinical practice guidelines initially based on the 2002 guidelines that were updated with each new version released by the Centers for Disease Control and Prevention,20,21 (2) standardized discharge instructions, (3) a full course of medication dispensed at discharge, (4) standardized follow-up procedures, and (5) hospital admission for adolescents younger than 5 years. Clinical records of PID consisting of completed clinical pathway assessment and follow-up forms are maintained in the general pediatrics, adolescent medicine, and pediatric emergency departments for quality assurance purposes. These records were used to identify patients. International Classification of Diseases, Ninth Revision coding through an administrative data set was used to identify missed cases. Electronic medical and laboratory records (EMR) were used to verify the diagnosis, track patterns of health care use, and determine STI outcomes. A single reviewer extracted data to a scannable form for electronic database entry. To ensure that data was extracted appropriately, the principal investigator (M.T.) reviewed 10% of selected medical records. This project was approved by the Johns Hopkins institutional review board. Extracted data included demographic information, visit data, and STI and/or PID outcome data from the visit. Tracked STI outcomes using the laboratory feature of the EMR included subsequent infections by Neisseria gonorrhoeae or Chlamydia trachomatis, as these are the 2 most common pathogens associated with PID.9,12 Nucleic acid amplification testing via cervical and urine collection are standard institutional practice. Subsequent PID outcomes were also tracked in the EMR. An extraction form was completed for each patient per visit. All patients were assigned a unique identifier at the time of extraction that was used to monitor duplicate visits. Descriptive data analysis was used to assess the demographics of the sample, health care patterns of use, and frequency of STI and/or PID for the entire cohort. The primary outcome measure was STI and/or PID during the 48-month study window. Incidence of STI and/or PID was calculated as the rate of incident cases per person-months of exposure. Only patients with at least 1 follow-up visit in the EMR were used to calculate the incidence, indicating use of the site for periodic and/or routine care visits. Sensitivity analyses were performed to determine the effect of these inclusion criteria on the incidence calculations. Patients who were diagnosed with the same STI within 30 days of the previous diagnosis were not considered to have a repeat infection given the use of nucleic acid amplification testing as the primary method of diagnosis and the persistence of positive test results after infection has cleared. Patients diagnosed with another STI during this time interval were considered to have a new STI. Time was measured in days from the date of first PID diagnosis to the first STI and/or PID diagnosis during the study period. Cox proportional hazard modeling was performed to evaluate the incidence of STI by age and insurance status. A total of 110 patients were identified for evaluation in the study. The mean (SD) age of patients at the time of initial PID diagnosis was 16.8 (1.9) years. Most patients were black (89%) and covered by health insurance. Baseline laboratory results for N gonorrhoeae and C trachomatis were available for 85% (n = 94) of patients, and diagnosis was confirmed for all patients using medical records. Thirty-nine percent of patients had laboratory test results that were positive for N gonorrhoeae or C trachomatis at baseline and 73% (n = 80) of patients had at least 1 additional follow-up visit (Table). Of the 80 patients who had any type of follow-up visit in the EMR, 34% (n = 27) had at least 1 additional visit at which an STI and/or PID were diagnosed. Of those 27 patients, 67% (n = 18) were diagnosed with chlamydia, 11% (n = 3) with gonorrhea, and 44% (n = 12) with PID (these categories are not mutually exclusive, as a patient could have more than 1 diagnosis at the visit). Furthermore, 42% (n = 5) of those diagnosed with PID had laboratory tests positive for N gonorrhoeae or C trachomatis. While 70% (n = 19) of patients had only 1 recurrent STI, 30% had 2 or more subsequent STIs and/or PID (Figure 1). Number of subsequent sexually transmitted infection (STI) and/or pelvic inflammatory disease (PID) diagnoses in girls with at least 1 subsequent diagnosis of STI and/or PID during the study window (n = 27). Second bar denotes those who had at least 1 repeat episode of PID. The incidence of recurrent STIs (including PID) in this cohort was 3.1 per 100 person-months. Sensitivity analyses revealed that inclusion of patients who did not seek additional visits during the 48-month study window reduced the incidence of subsequent PID to 2.0 per 100 person-months. The mean (SD) time to a recurrence of PID and/or an STI was 377 (297) days (range, 15-1300 days) (Figure 2). There was no difference in the risk of subsequent infection based on insurance status (hazard ratio, 1.31; 95% confidence interval, 0.57-3.0; P = .52) or age (hazard ratio, 0.96; 95% confidence interval, 0.79-1.18; P = .72) in hazard models. Survival curve depicting time to recurrent diagnosis of sexually transmitted infections and/or pelvic inflammatory disease (N = 110). Adolescents treated for PID in ambulatory pediatric settings are at significant risk for subsequent STI and/or PID in the 48 months following a baseline diagnosis. While earlier research from this health care system has identified major barriers to adherence for adolescents treated as outpatients,3 there is limited knowledge about the behavior, needs, and support for girls in the immediate interim after a PID diagnosis. This suggests that without behavioral intervention surrounding the baseline PID visit, the potential risk for STI and/or PID–related sequelae is significant. The findings from this study must be considered in light of several limitations. International Classification of Diseases, Ninth Revision coding and patient medical records were used to identify patients. While this method likely captures all patients seen, there still may be patients missed using this method. Our team also relied on medical record data from a single hospital system with an established PID management protocol, which limits our ability to generalize these findings. Given the community burden of STIs in this city,17-19 the public health department has provided for alternative venues for testing and evaluation including 2 clinics devoted to management of STIs, a family planning clinic, a free-standing teen health clinic, and 8 comprehensive school-based health centers.22 Although we used the most conservative estimate for calculating incidence in those who had a least 1 follow-up for any reason, our method still likely underestimates STI-related disease experienced by this cohort of girls. However, these numbers represent the actual burden of disease observed in pediatric ambulatory sites and are noteworthy. Sensitivity analyses indicate a lower incidence for the entire cohort (N = 110). The fact that patients excluded in the core analysis did not have a subsequent visit of any type in the system given the expectations for follow-up and rescreening for this cohort suggests that the excluded participants are not regular or periodic users of this institution for care. Use of either estimate, however, indicates that adolescents with PID in this STI-prevalent urban community are at significant risk for subsequent disease in the short-term following diagnosis. While these findings suggest similar patterns of subsequent infection as seen in adolescents and adults diagnosed with infections by N gonorrhoeae or C trachomatis,23-25 they are somewhat more concerning given the risks to future reproductive health after PID. Given that this is the first published data with longitudinal follow-up of a cohort of girls with upper reproductive tract infections in a reality setting, it adds to the literature. Adolescents treated for PID are at significant risk for STI and/or PID recurrence in the 48 months following initial diagnosis. Given the need to prevent future episodes of STI and PID in this population of vulnerable youth, exploring the value of behavioral intervention focused on risk reduction and designed to complement outpatient management strategies is critical. Correspondence: Maria Trent, MD, MPH, Johns Hopkins School of Medicine, 200 N Wolfe St, Office 2064, Baltimore, MD 21287 (mtrent2@jhmi.edu). Accepted for Publication: March 20, 2008. Author Contributions:Study concept and design: Trent and Ellen. Acquisition of data: Trent, Chung, and Forrest. Analysis and interpretation of data: Trent and Chung. Drafting of the manuscript: Trent, Chung, and Ellen. Critical revision of the manuscript for important intellectual content: Trent and Forrest. Statistical analysis: Trent and Chung. Obtained funding: Trent. Administrative, technical, and material support: Trent and Forrest. Study supervision: Trent and Ellen. Funding/Support: This study was funded by the Thomas Wilson Sanitarium Foundation for the Children of Baltimore City; the Robert Wood Johnson Generalist Faculty Scholars Program; and grant 1K01DP001128-01 from the Centers for Disease Control and Prevention.